Pilates exercise is very effective for back pain relief because it helps to improve your core strength, flexibility, and balance while reducing stress which is a major contributor to chronic back pain. In addition, Pilates exercises helps teach you to be more aware of the proper placement of your spine and pelvis which is key to supporting the natural curvature of your spine. This is referred to as having a “neutral spine” and is critical in helping to reduce pain. Whether your back pain is the result of an injury, from poor posture, or from a lack of exercise which has left you with diminished core strength, the benefits of a program of Pilates exercises are many. Pilates is mind-body training that will teach you better body awareness, good posture, and help to improve the fluidity of your movements while working towards providing relief from your back pain.. It is important to check with your physician before beginning a program of Pilates exercise. Equally important is to find a program with certified instructors who have training and experience in designing an exercise program for people experiencing chronic back pain. In the San Diego area, Propel Pilates and Fitness offers focused and safe workouts with friendly instructors who are certified through internationally recognized Pilates or Personal Training organizations. Because Pilates is a flexible exercise system, our instructors can design a program of mat exercises that is low impact and safe for your back, but will still provide you with a challenging workout. A good Pilates program helps to teach awareness of body movements and how they contribute to alleviating back pain by focusing on full body strength training and working to correct poor posture and muscle imbalances. Pilates exercises will also work to strengthen your core muscles including your abdominal muscles, the muscles in your back and pelvic floor which all contribute to supporting and stabilizing your spine. Propel Pilates and Fitness is one of the largest and best equipped Pilates studios in North County San Diego. Our instructors will work with you to design an individualized exercise program that is suitable for your specific needs and limitations. Many of our clients have found that their pain levels have been reduced significantly after embarking on a program at Propel Pilates and Fitness. 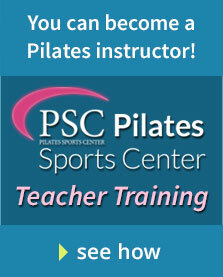 To learn more about our various Pilates classes, call 858-314-9271 today.